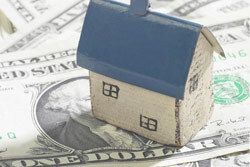 Shopping for a mortgage loan? We'll be glad to talk about our many mortgage solutions! Call us at (317) 288-9434. Ready to begin? Apply Now. It's important to see a mortgage loan pro first, even if you haven't decided the sort of home to search for. Why? How can we help before you have negotiated a price, and don't know yet the amount you want to borrow? When we pre-qualify you, we help you figure out the amount in monthly payments you can fit in your budget, and the size of loan you can qualify for. We will achieve this by reviewing your debts and income, your work and residence situations, the funds available for a down payment, required reserves, and some other things. It is a short, thorough process with minimal risks for papercuts. Once you are determined to be eligible, we prove our confidence in your ability to qualify for a mortgage by giving you a Pre-Qualification Letter (also called a "pre-qual"). Some advantages open to you once you've found your dream house, and have achieved pre-qualification power. The first is that you can know the amount you'll be able to afford when putting together the offer. Being pre-qualified also will make your offer more attractive to the home seller, as if you were bringing them a bag full of cash! 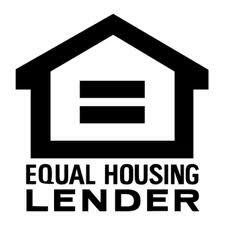 They need not be concerned they are wasting their time if you do not have the ability to qualify for a big enough mortgage loan. The seller won't be concerned that he can't trust you to qualify for your mortgage in the amount you'll need.Your qualifying for the necessary loan amount won't be something for them to worry about. You have the influence of a buyer ready to make the purchase on the spot! We can help determine how much of a mortgage loan you can afford, and how much money you can borrow, by taking you through pre-qualifying. During the process, we calculate your capacity to borrow - reviewing your employment, available money for down payment, existing debt, income, and other circumstances. We will ask for a minimum amount of paperwork, and avoid a lengthy process. It is vital to sit down and talk with us, even though you are welcome to also try the helpful mortgage loan calculators on this website. That way, we can help you get your pre-qualification letter. For another thing, we could find a different mortgage option that is a better fit for you. Contact us at (317) 288-9434 to get started. Have questions about pre-qualifying? Call us at (317) 288-9434. James M. Dix answers pre-qualifying questions every day.